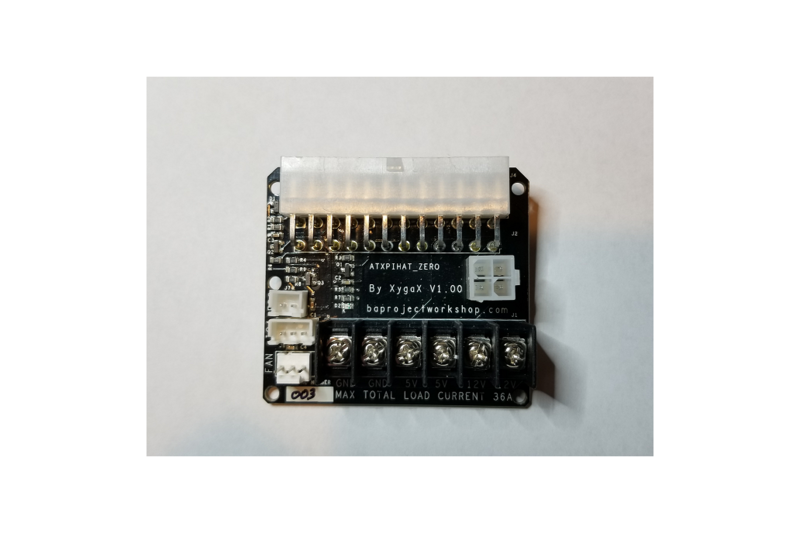 To easily connect an ATX power supply to your 3d printer and power an Octoprint enabled Pi. 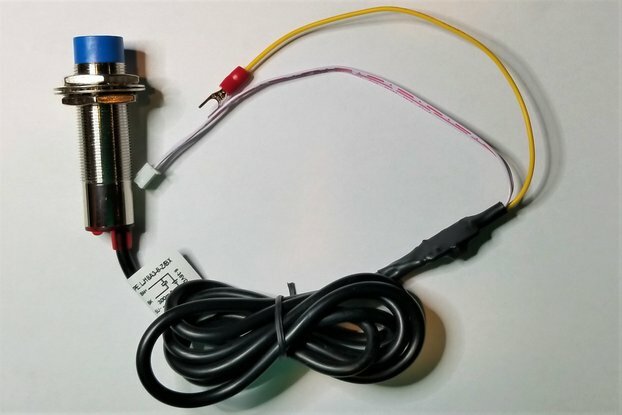 To easily connect an ATX power supply to your 3d printer and power an Octoprint enabled Pi. 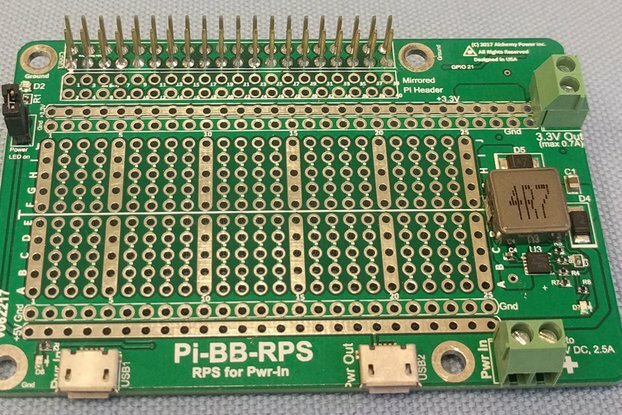 No more cutting, soldering and destroying your Raspberry Pi. 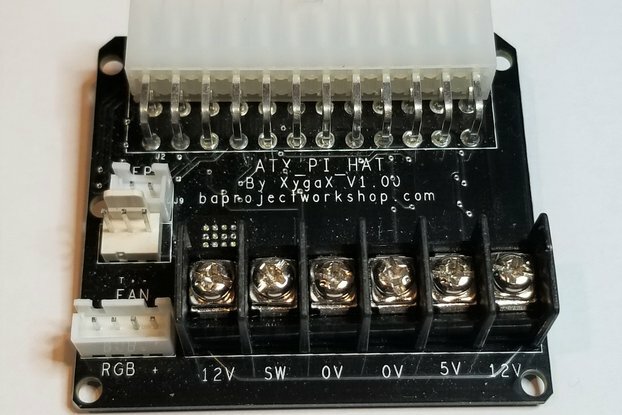 This is the feature-rich little brother of the original ATXPiHat. 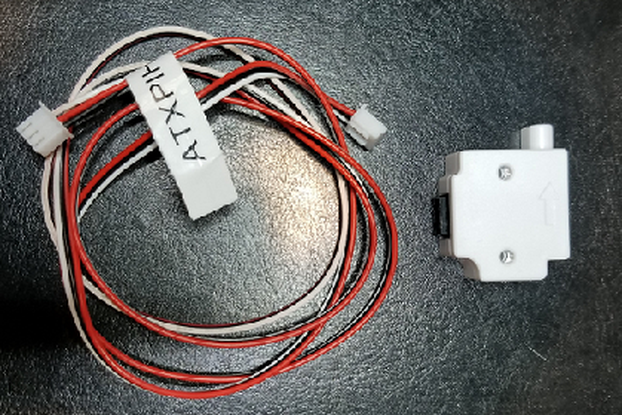 Increased amperage for support of larger printers, additional integrated port for filament and environmental sensors. Fully compatible with Octoprint 1.3.8 or greater. Disclaimer: this hardware has not been tested by an independent lab such as UL, or anyone else. You use it at your own risk. 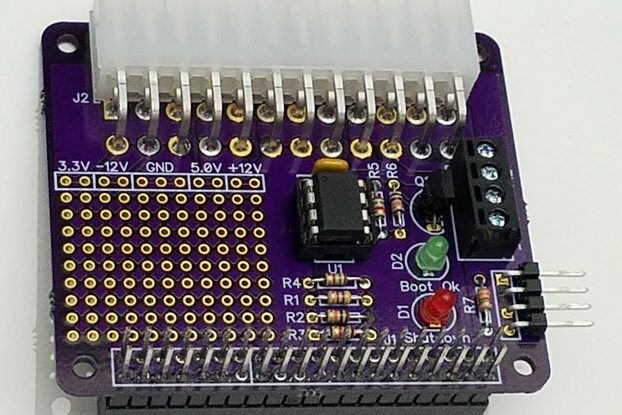 Each board is shipped tested and should work properly out of the box. 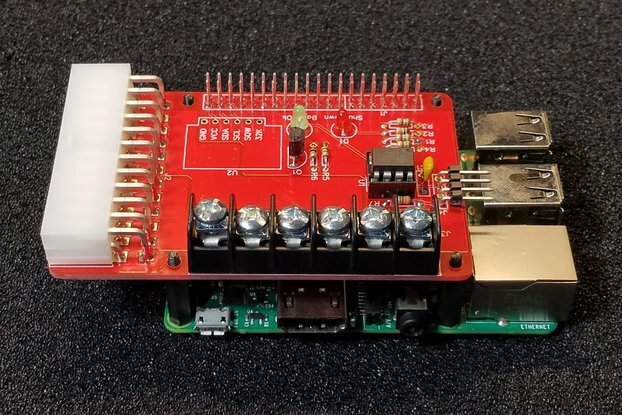 They are designed to work with a Raspberry Pi 3b and Zero. However, all the work has been done on Pi 3b’s. Never, and I mean never, use this board and or your printer unsupervised. Again, use it at your own risk.